Cyclodextrin, a compound now in testing to treat a very rare genetic disease, may have a potential use in treating a much more common condition too: heart disease. Researchers reported Wednesday in Science Translational Medicine that in mice, cyclodextrin was able to reduce plaque and dissolve cholesterol crystals, which some research suggests could play a role in atherosclerosis, or narrowing of the arteries. Statins and cholesterol-lowering drugs are highly effective in helping prevent heart attacks and stroke, but don’t adequately treat everyone. The cyclodextrin study may help draw attention to cholesterol crystals as a potential target for treatment. The idea is that cholesterol can crystallize and accumulate in arteries, causing inflammation and triggering or contributing to disease. The research is still in its early days, and positive findings in animals don’t always translate to humans. “This is a potentially promising therapeutic approach,” said George Abela, chief of cardiology at Michigan State University, who has done extensive research on cholesterol crystals but wasn’t involved in the new study. Dr. Abela said he and other researchers are looking for a way to prevent or dissolve cholesterol crystals by testing agents that include aspirin, statins and alcohol, among others. He said they haven’t examined cyclodextrin for this purpose. “The question is what is the most tolerable and efficient way to extract the crystals,” Dr. Abela said. Cyclodextrin has long been used to help dissolve and deliver drugs and wasn’t considered an active drug itself. But efforts by scientists, clinicians and patient advocates to find a therapy for a rare genetic condition called Niemann-Pick Type C led to the realization that cyclodextrin might help treat the fatal cholesterol metabolism disorder. 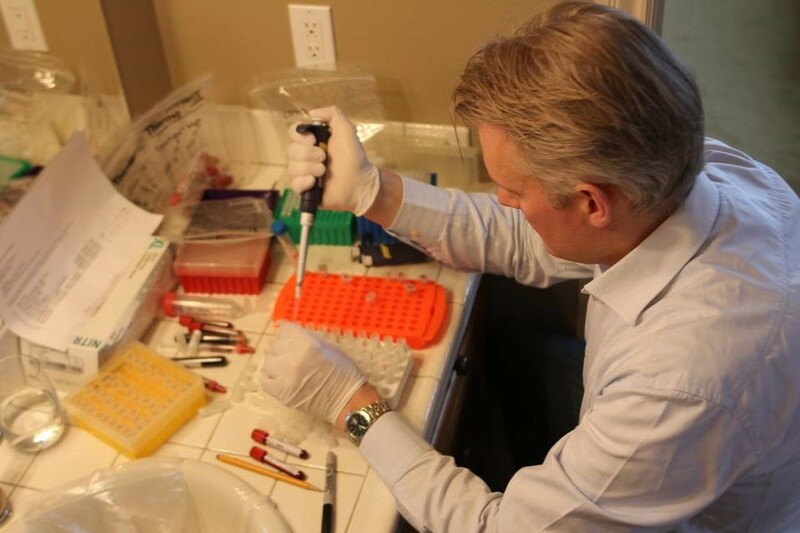 Cyclodextrin is being tested in children with NPC disease in a clinical trial run by Vtesse Inc. A number of other patients with NPC are taking cyclodextrin outside the clinical trial with permission from the Food and Drug Administration. The idea for the heart-disease study came from a parent of children with NPC disease who are taking cyclodextrin. The parent read a paper about cholesterol crystals and their potential role in heart disease. The parent reached out to one of the authors, Eicke Latz , inquiring whether cyclodextrin might dissolve them. Dr. Latz, who is the director of the University of Bonn’s Institute of Innate Immunity and principal investigator on the cyclodextrin study, said he believes cyclodextrin makes the cells more efficient in getting rid of cholesterol, lowering the likelihood that cholesterol crystals will form in arteries. In the mice studied, cyclodextrin worked even when the mice continued to eat a high-cholesterol diet. Dr. Latz said much more work needs to be done, particularly on dosing if the drug gets to the human-testing stage. In at least some people with NPC disease, cyclodextrin has caused hearing loss. What would be your advice on how to get started best on my road to have this compound administered on myself? Of course in a regulated enviroment and within a protocol.I am a 38 years male, recently diagnosed with Peripheral Arterial Disease. I should mention I am over in the UK. I am aware Trappsol Cyclo is being tested in stage I/II trials in the UK for the NP on children. I do not intend to wait for this devastating disease to destroy me before taking my life, so I would very much appreciate any info, contacts in the UK, over in the US that could help in starting something. I think this compound should be tested on people suffering from PAD as we deserve a better qualitty of life than what current treatments can produce ( stenting, bypass surgeries etc). I hope you will find the time to respond and also that you could help in any way.